As a service to our customers, Parts Books are available at no charge. The parts books are in Adobe's "PDF" format. In order to download/view these manuals you must have the Adobe Acrobat Reader installed on your computer. 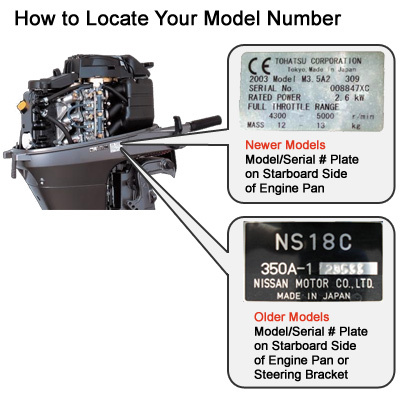 IMPORTANT: Use care when selecting model number to ensure proper part selection. Tohatsu and Nissan parts are identical with the exception of cowlings and branded fuel tanks which contain the specific brand names.